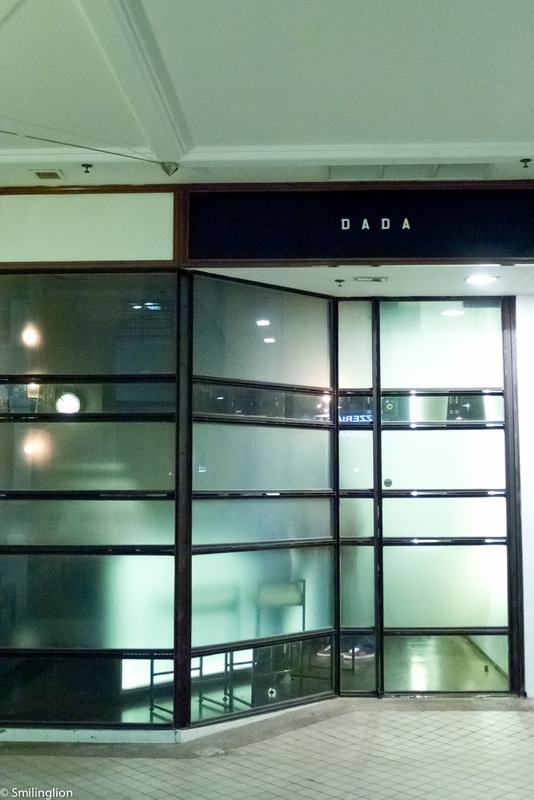 Update: Foodbar Dada closed permanently in late 2013 when its lease expired. 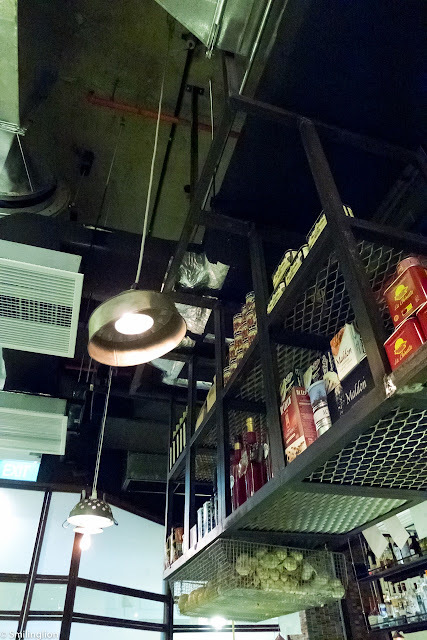 In early 2012, we were invited by friend to a pre-opening tasting of a new food outlet. We had understood it to be a barbecue place showcasing a new imported grill/oven from Europe and that its incarnation as a restaurant was for the purpose of demonstrating and hence marketing this new kitchen appliance. Without any expectation at all (though fortunately we did not dress that night like we were going to a barbecue), we went to this small nondescript shop space in Robertson Quay, which at that time had not yet put up the restaurant sign (it was next to an espresso bar we frequent - Smitten), and had our eyes opened to a new gastronomic experience which was haute tapas accompanied by creative cocktails. We were fortunate that night to have had chef Aitor Olabegoya, an El Bulli alumni and formerly "Best Young Chef in Spain" winner, cook for us. It turned out to be a 12 course extravaganza (though the number of dishes was probably the result of the chef trying to keep up with the speed at which we were demolishing the food). He had with him that night a friend who was a dessert chef on sabbatical and who whipped up some amazing desserts for us as well. 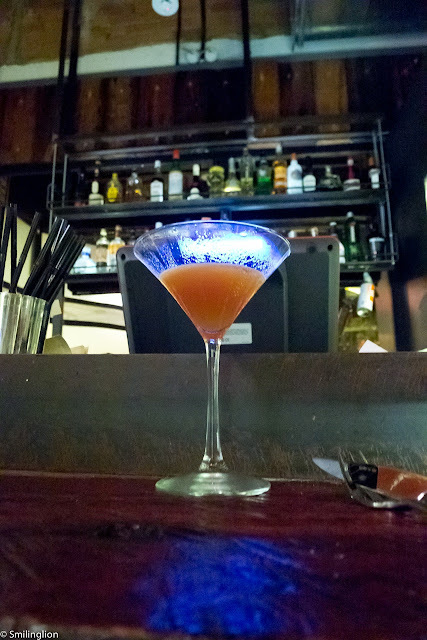 Unusual but amazing cocktails were prepared for us that night by renowned local mixologist, Din. Being fully aware (and grateful) that we were being pampered at the pre-opening tasting by the owner Joe's great generosity and naturally, the restaurant's desire to leave a strong positive impression prior to opening, we made our way back here again a month after the opening with tempered expectations (given that the pre-opening tasting was probably more a demonstration of the full potential of the restaurant but not necessarily the most commercially efficient from a business model perspective). Chef Aitor wasn't around (not sure what his status is with the restaurant, but we think he had a key role in shaping the concept and the menu) and the kitchen was in the good hands of Manel, a young Catalan chef, with Din manning the bar. With a much smaller menu (6 items this time) and no desserts this time, we nonetheless has a thoroughly good time, trying all the dishes and the various cocktails prepared by Din. Because we stayed till late and were the last to leave, the chef was kind enough to whip up some chocolate truffles and cream dessert for us at the end of our meal. A week later we decided to come again, this time with a group of 4 (and we brought our camera this time). We made the reservation a week in advance and specifically requested for the bar counter directly in front of the kitchen. 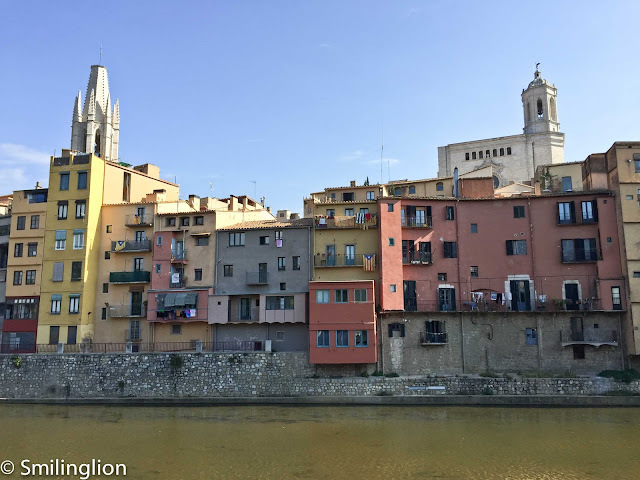 However, when we got there, it appeared that they had forgotten our reservation, although fortunately they could accommodate us by the (rather less comfortable) ledge in front of the bar. It was good of them though to allow us to move to the bar counter we had initially reserved once the previous group vacated the space almost an hour later. We put this down to teething problems, as it seemed that the restaurant could have moved from a previous policy of not taking reservations to one that did, hence there could have been some internal miscommunications on the proper practice of taking bookings from clients (when a friend of ours called to make a reservation, they forgot to take her details down before hanging up, prompting her to call again). Dada had a very grungy vibe and interior, with exposed vents on the ceiling, hanging aluminum lamps and steel shelves which stack food ingredients, unpolished dark wood wall panels and bar counter, all surrounding the heart of the restaurant: the kitchen and in particular, the Josper oven. The music added lots to the ambience without being too loud, yet at times during the night the playlist betrayed the owner's (Joe's) vintage. 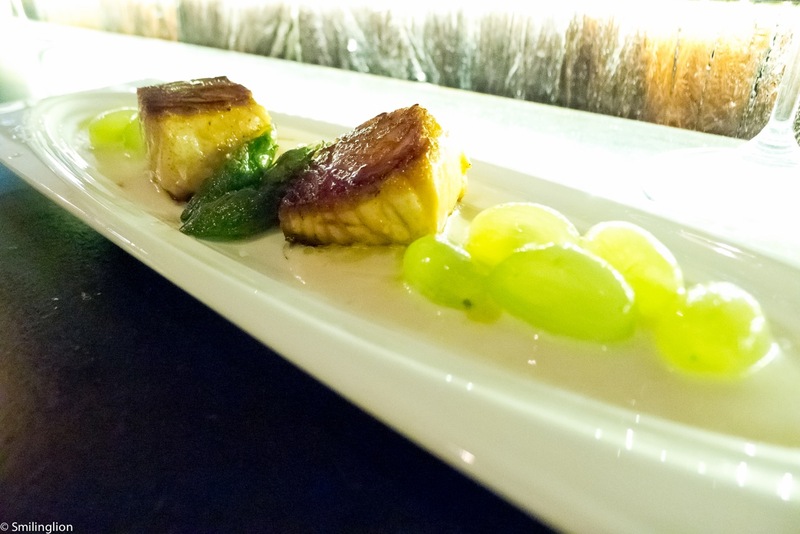 In many ways, the feel of the place reminded us of WD~50 in New York (i.e. grunge-chic). Though they didn't have much of a wine list, the bottle of Spanish wine we had was inexpensive and decent, but a trip there without trying Din's cocktails would be a travesty. His cocktails came in all sorts of different receptacles, from martini glasses, to stainless steel cocktail shakers to glass jugs at times. Bearing in mind that almost everything was cooked in the Josper oven (which as you can see below is maybe slightly bigger than our microwave oven at home), it could have been expected that the preparation of food would take a while and hence the food would take some time to be served. 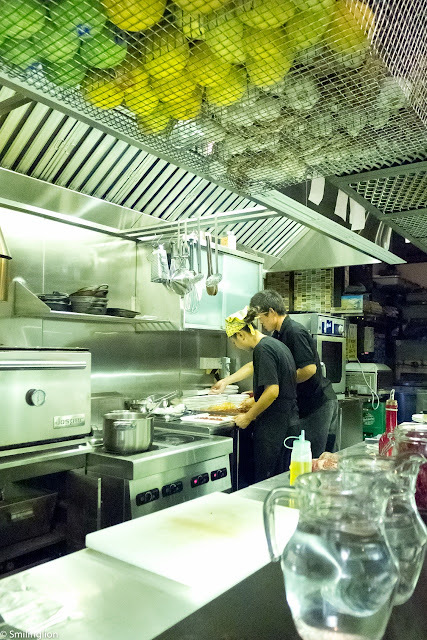 Besides, for the most part the kitchen was manned by Chef Manel and one assistant only. With that in mind, we waited patiently by the bar, sipping our very nice cocktails and entertaining ourselves by watching Chef Manel at work (which is why it was important for us to get the bar counter seats). 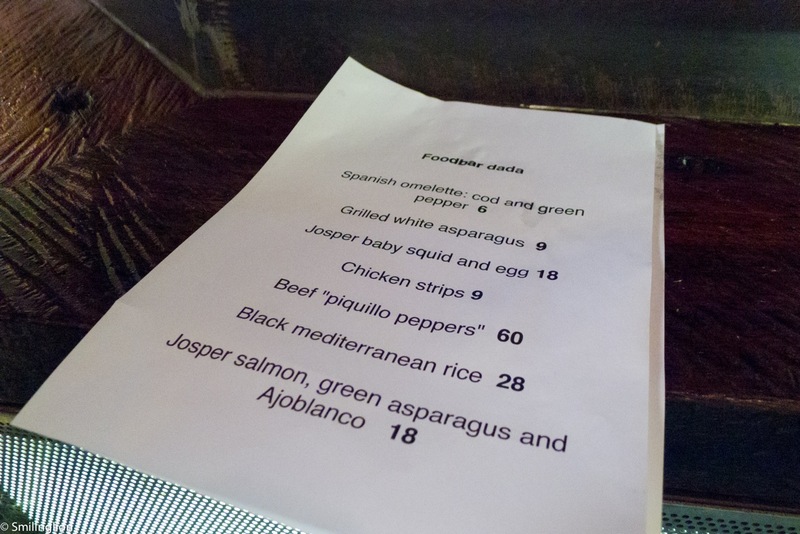 Dada's menu came in the form of a tattered and well-handled piece of paper which set out the tapas dishes of the day. We understood that some of these dishes change daily depending on what the Chef can find in the markets. We ordered 2 portions of each (1 portion would be enough for 2 persons, although the spanish omelette was a favourite of ours and we could have one of that per person). Spanish omelette - cod and green pepper: quite messy to eat but very good. This was no ordinary omelette. 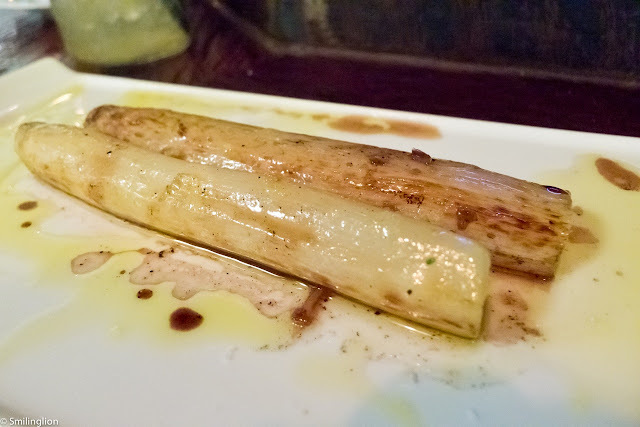 Grilled white asparagus: Never a big fan of white asparagus but this was nicely grilled and marinated with balsamic. 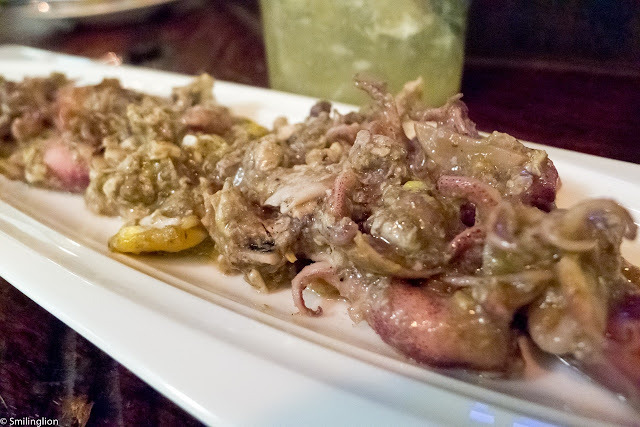 Josper baby squid and egg: one of our favourite dishes here. The egg was cracked open in the hot pan of squid while in the oven and stirred with the garlic sauce before serving. Simply divine. 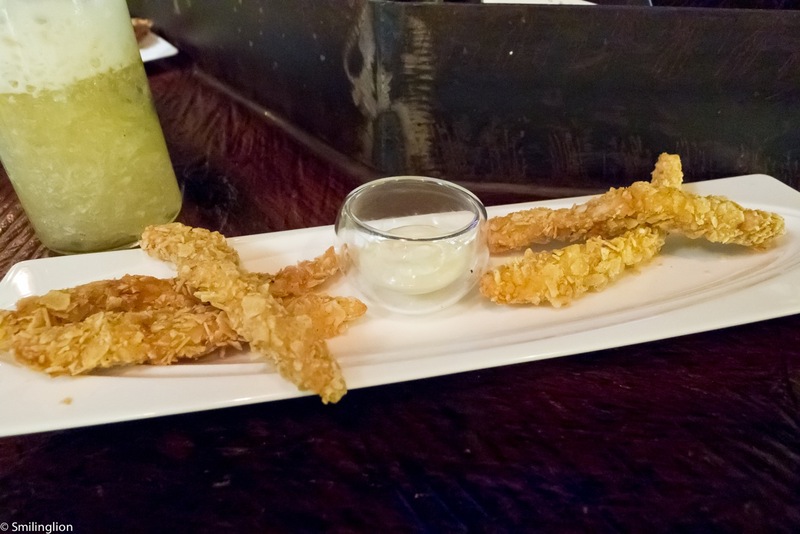 Chicken strips: The only dish not made in the Josper oven (but deep fried in a pot over the stove). Nicely breaded but otherwise not spectacular. Josper salmon, green asparagus and Ajoblanco: The salmon was well grilled (giving it a nice smoky flavour) but the white sauce was the highlight. Green grapes were also an interesting addition. Beef "piquillo peppers": Supposedly a crowd favourite but it wasn't our favourite dish. 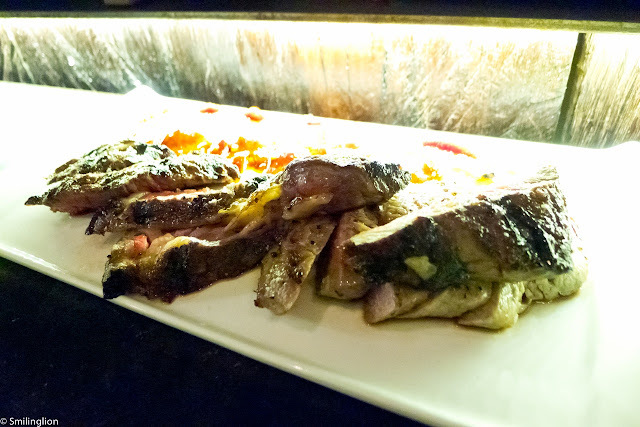 The peppers was a nice touch but the beef, though nicely grilled, could have been of better quality. Black mediterranean rice: Best paella we've had outside of Spain. Simply yet perfectly cooked in the Josper oven, with the squid ink providing the flavour and chunks of squid giving the substance. 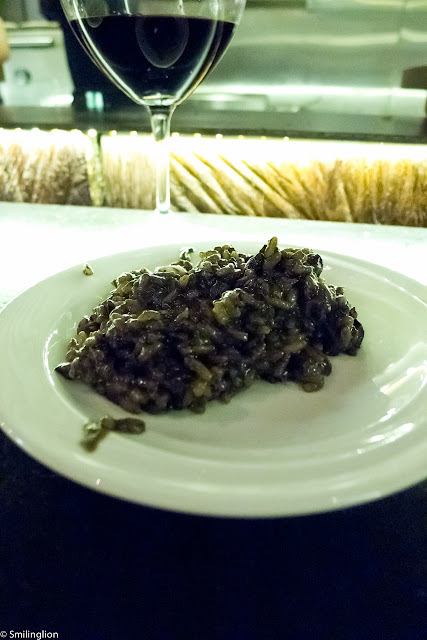 The rice was also cooked al dente, being neither too burnt nor too moist. We'd come here just to eat the paella. It was a Saturday night and the kitchen was at maximum capacity (there were walk-ins even after 10pm) so there was no dessert this time (for which the Chef very kindly apologized). 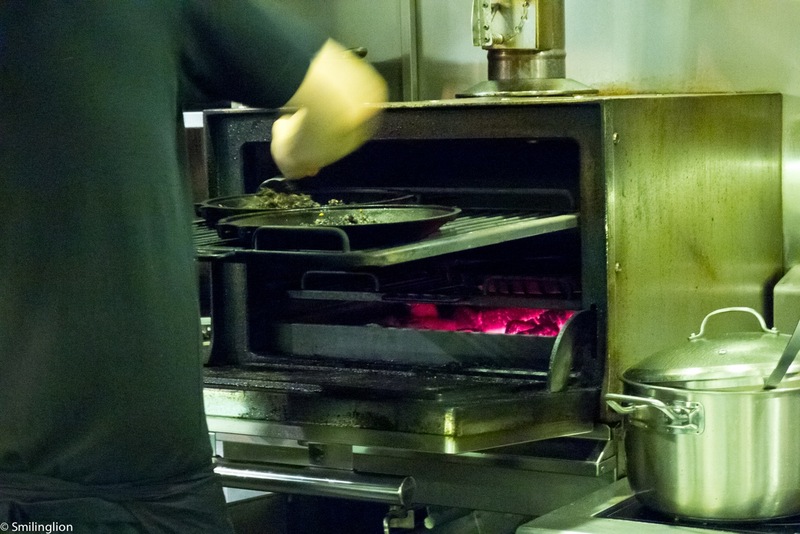 Final Thoughts: Whether or not the owner Joe deliberately set up his restaurant in this way or somehow stumbled upon it in the course of looking to advertise his Josper oven, we feel that he has struck a winning formula with FoodBar Dada. 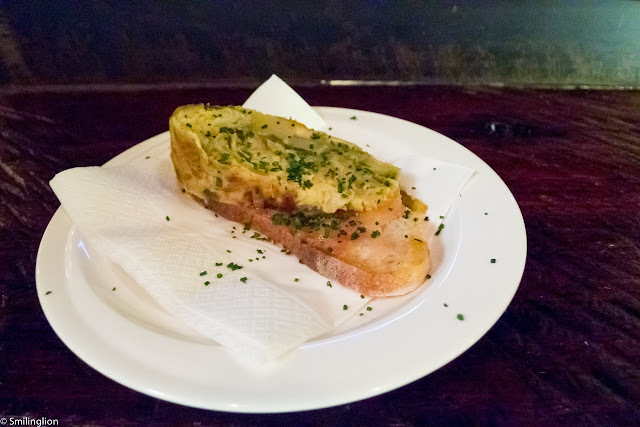 It has an off-beat yet uber chic character enhanced by authentic Spanish tapas cuisine at reasonable prices, which sets it apart from other (perhaps more well-known) tapas joints which feel more commercial and less focussed on the food itself. Given the tiny space and hence small number of staff, service was patchy at times (but not for the want of trying, we feel), and due to the exposed ceilings sometimes we got drips of water from condensation on the air-con ducts above, but all these couldn't take away the charm of a niche tapas bar dedicated to serving high quality food and cocktails and not simply looking for quick turnover of covers and selling bottled beers. Update: We went back a few weeks later and the menu was more extensive, and included a dessert selection as well. 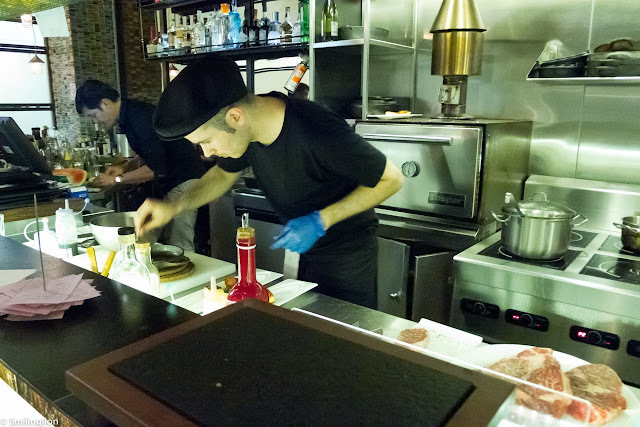 The addition of Chef Jordi also helped the speed of the food produced and, together with the increased staff numbers, service was much better and the restaurant felt like it was running fully functionally at last (oh and the water dripping from the ceiling seems to have stopped too).